Trending at $111.66eBay determines this price through a machine learned model of the product's sale prices within the last 90 days. 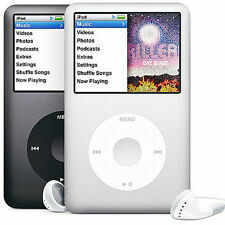 Apple iPod classic 5th Generation Black (60 GB). Condition is Used. Shipped with USPS Priority Mail Small Flat Rate Box. Lossless music playing. Provide great quality sound for the array of music and convenient to download (Support MP3, APE, and FLAC WMA etc.). Audio format MP3, WMA, WAV,APE,FLAC. Bluetooth: Compatible with most Bluetooth output device, support playlist under Bluetooth status, enjoy your high-fidelity stereo music with your wireless earphone. IPod and headphones only (as shown in the picture). We won`t be able to cancel order that already processed. Ipod Touch 4th Gen 16GB Black (1 of 50 Available). Excellent for you car, on the train, at the gym or to dock at your work desk. Small, easy to use, has Bluetooth, the software is quick and responsive. CAYIN N3 Hi-Res Digital Audio Player DAP Excellent Condition FREE SHIPPING!!! Player is in excellent condition and was used less than 4 hours total. 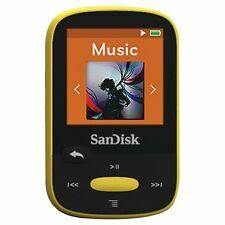 SanDisk Sansa Clip Black ( 4 GB ) Digital Media Player. Condition is Used. Shipped with USPS First Class Package. Pre-owned, in very good condition. Fully tested and works perfectly. Very few very light cosmetic dirt and scratches from prior use. There's a ding/scratch right next to the power button that doesn't impact its functionality and doesn't have any affect on the screen. Includes charging cable and brick. Does not include headphones. Does not include instructions. Does not include a case. 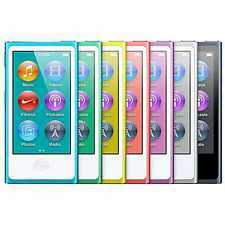 Apple iPod nano 7th Generation (16 GB) Pink MP3 Player MD475LL/A Used But in Very Good Condition View Pic. Astell Kern AK100II in great shape. I take it to work and back, this is my mobile device, while I leave my AK380 at home. I’m trying to reduce down my audio gear so this has to go. No box, just the player and case and battery life is still good compared to new. I’ve only used the 3.5mm port. ConUS only, PayPal only. Thanks for looking. Trending at $303.66eBay determines this price through a machine learned model of the product's sale prices within the last 90 days. Apple iPod classic 5th Generation White (60 GB) Tested Working! 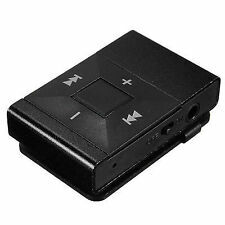 An MP3 player is a handheld electronic device that can play digital music files in the MP3 format. They play audio which can be heard via headphones or a built-in speaker. 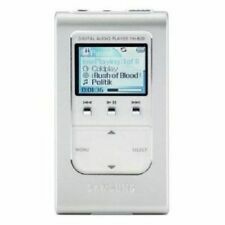 Some models are solely digital audio players, while others offer more functionality and features. Apple discontinued the Shuffle and Nano models, but you can still find both new and secondhand models. You can choose from the Classic, Shuffle, Nano, and Touch models. 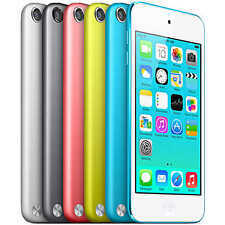 The iPod Touch has not been discontinued. 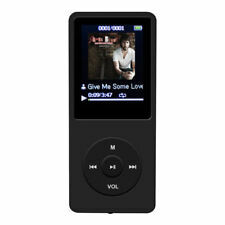 When choosing an MP3 player, what features are important? Portability: Most are portable and handheld. However, weight and size can vary. If you are a commuter, you may want to choose a small, lightweight model. Accessories can also add to overall weight. Factor in headphones and speakers if you need them. Storage: Players use flash memory drives to store files and are built into the unit directly. They come in varying capacities from 4 GB all the way up to 128 GB. Expansion: Some products support Micro SD cards. Should the built-in storage be insufficient for your needs, you can store additional files on Micro SD cards. Insert the cards into the device for more storage space. Accessories and Extras: These devices have become more sophisticated as users have found more uses for them. 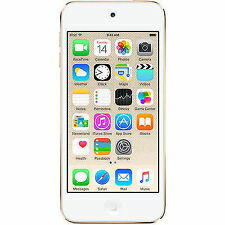 Some support the AVI and MP4 formats for playing videos, while others have Bluetooth or HDMI capabilities. Power: They can have either replaceable or built-in rechargeable batteries. Choose the power option that fits your situation. 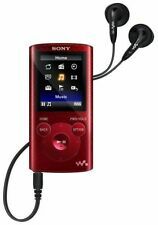 How durable are MP3 players? This varies with the model. Models with quality construction that use good materials will be most durable. The activities you'll be doing while carrying your device will have bearing on what kind of construction you should look for. If you're playing sports, hiking, or working out at the gym, you may want to get a hard case for added protection. Can MP4 or video files be played? Only if the model specifies video compatibility. If it supports video playback, it will specify which formats it supports. Video file formats may include AVI or MP4. Check that your video is within the parameters supported. For example, it may specify a maximum video resolution of 240 by 320. If your file exceeds that, then it won't be playable on the unit. Discover the perfect backpack, dorm room decorations, study supplies and great MP3 players to prepare for going Back to College.